With Readly you can read History of War - US Military's Greatest Battles and thousands of other magazines on your tablet and smartphone. Get access to all with just one subscription. New releases and back issues – all included. Created in the crucible of war, the United States has been known throughout history for its military. Uncover the nation’s greatest battles as it fights against communism, fascism and itself from the 1770s right up to the present day. Explore the key fights from the American Civil War, board a sub in the Atlantic, and join soldiers on an offensive in war-torn France. 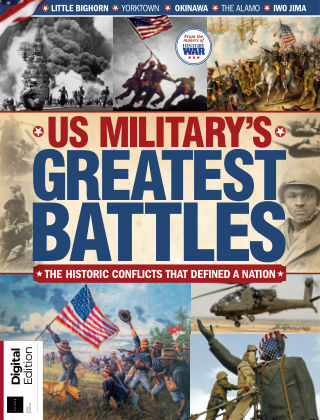 From their own lands to Europe and Asia, find out how the US military fought by itself and alongside its allies in US Military’s Greatest Battles.